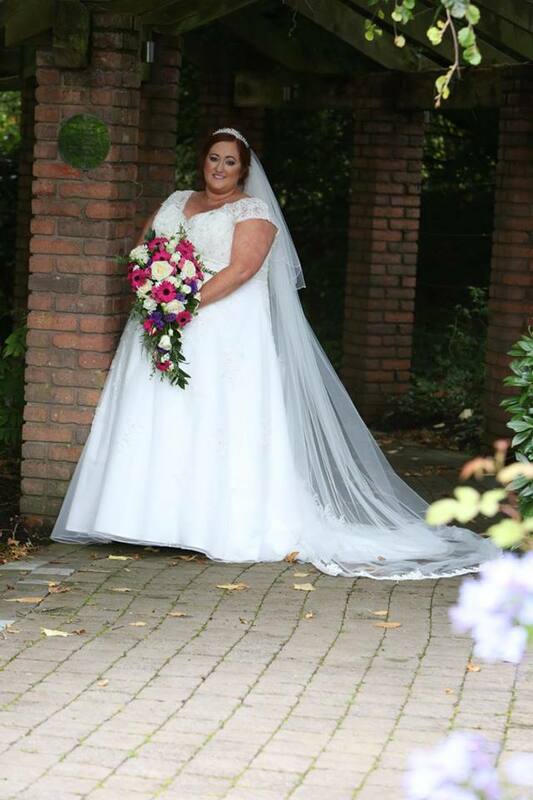 Aishling Spinks has dropped 8 dress sizes from a size 32 to a size 16. Being the best at losing wouldn’t normally help you to scoop an award - yet one woman from Derrylin has done just that after being named 'Cavan Crystal’s Greatest Loser’ 2018. That’s because Aishling Spinks has lost a life-changing 10 stone 12.5 lbs to take the title, which was awarded at the 9.30am Crystal Tuesdays Slimming World group to Aishling who has lost the most weight, and feels fabulous as a result. Aishling says: "There’s absolutely nothing wrong with being a loser when it feels this good! I feel like a new woman since losing weight – in fact, I look so different that people who I haven’t seen for a while often can’t believe I’m the same person. For me though it’s the change on the inside that’s been the greatest – I’m happier, healthier and much more confident now." The proud 28-year-old joined the Cavan Crystal Tuesdays group, which is run by Sandra Keogh, in January 2017. Aishling says: "My weight impacted on so many aspects of my life, from struggling to find clothes to fit, to not being able to do simple everyday tasks without feeling tired and out of breath. Before I lost the weight I hated having my photo taken and whenever I saw pictures of myself I knew that my smile wasn’t real – yet now I’m beaming!" "It was exhausting and hard to even go up the stairs to bed, I would feel dizzy like I was going to pass out, and during the day I fell asleep everywhere I sat down." Aishling prior to losing the weight. Aishling’s weight was also putting a huge strain on her health. After Aishling had broken her foot she was told she would always suffer chronic pain due to the weight she was carrying. "It was exhausting and hard to even go up the stairs to bed, I would feel dizzy like I was going to pass out, and during the day I fell asleep everywhere I sat down. After hearing about Slimming World from a from a client who’d mentioned to Aishling how different Slimming World was, i.e. a friendly, fun place where you could eat oodles,Aishling decided to join a group that she knew she would be able to commit to attending each week which turned out to be at the Cavan Crystal hotel on Tuesdays. This was crucial as a busy hairdresser, she didn’t want to begin on the wrong foot. She says: "Walking through those doors was one of the hardest things I’ve ever done, I was embarrassed about my size and scared that I might be the biggest person there. “I needn’t have worried though, everyone there was so friendly especially my Consultant, I was warmly welcomed and offered a cup of tea and I was so relieved when I found out that my weight was confidential – I’d had visions of having to tell everyone how much I weighed! “I even got to set my own target weight instead of someone dictating to me which was so different for me. "Since then I’ve made so many friends at the group and I honestly don’t think I could have done it without their support each week. “They helped me with recipes and tips and if I was ever struggling they were always there to remind me why I’d wanted to lose weight in the first place and how far I’d come since first stepping through the doors." Aishling followed the club’s Food Optimising eating plan and swapped her usual Chinese takeaways for her homemade chicken curry and fried rice. She says: "People think slimming means going hungry, eating nothing but salad or obsessively counting every calorie you eat, it’s not like that at all with Slimming World though. “I love food and it’s never once felt like I was on ‘a diet’ – in fact, people are always surprised at how much food I have on my plate and can’t believe I’m losing weight eating so much delicious food including rice, potatoes, pasta etc. and without ever feeling hungry. "I still enjoy all my favourite meals like burgers and chips and roast dinners but I’ve learned how to make small changes like using lean meat or cooking with low calorie spray instead of oil or butter. It fits in really well with the rest of my family and we can all eat the same meals. I know that I haven’t ‘gone on a diet’, this is a change that I’ve made for life and have the tools I need to keep up forever." Aishling has lost a total of 10st 12.5lb and dropped 8 dress sizes from a size 32 to a size 16. Today Aishling has lost a total of 10st 12.5lb and dropped 8 dress sizes from a size 32 to a size 16. She’s also more active nowadays and regularly enjoys active time running around with her young son. Sandra Keogh, who runs the Cavan Crystal Tuesdays Slimming World group and Team Developer for the Leitrim area says: "The changes we’ve seen in Aishling are incredible. I hope her success will inspire other people in the area who’d like to lose weight by forming new lifestyle habits and become happier and healthier to take action. “There’s a warm welcome waiting at Slimming World and, just think, if you start today you could feel like a completely new person just like Aishling has in just 77 weeks. I would also hope that members feel inspired to be part of this change and join our amazing Slimming World Team as a consultant. Members past and present can find out all about the role by attending our opportunity event. You’ll need a big heart and passion for all things Slimming World. I became a consultant because I am just blown away by what Slimming World done for my life and my confidence. I wanted to make people feel that way too and through supporting parents with how to eat and cook healthily at least give our young people a chance to not need to carry the psychological burden of weight issues. Possibly help save a life. I know we’ve achieved this. It also means I have the flexibility to raise my family earning more than I would 9 to 5. "If you start today you could feel like a completely new person just like Aishling has in just 77 weeks. “If you too are passionate you are invited to attend our next event on Saturday, August 11 at 10am in the Cavan Crystal Hotel, Dublin Rd, Cavan. Feel free to bring a friend/partner for support for an informal day of information. “Opportunities are limited as this is a special role for caring people. 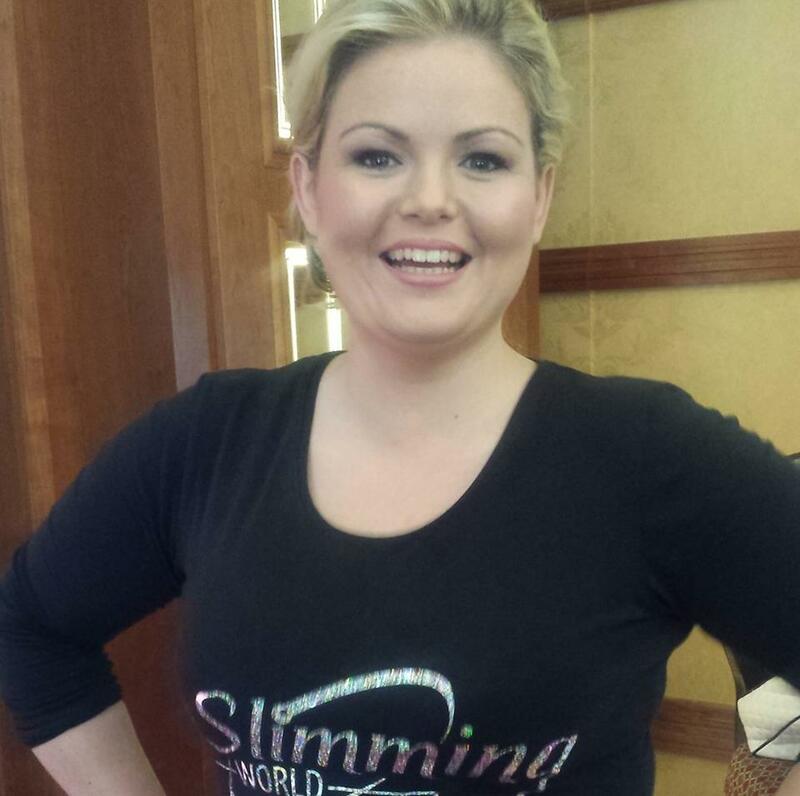 Sandra Keogh, who runs the Cavan Crystal Tuesdays Slimming World group and Team Developer for the Leitrim area. Aishling says "I wanted to feel healthier and better about myself and I’ve definitely done that. I feel great and that’s priceless. Anyone who wishes to can find me on facebook, snapchat and instagram"
To join a group in your area you can find the info on www.slimmingworld.ie. A warm welcome awaits.